I'm back on the tutorial bandwagon!!!! Well for this week at least.... It's been an absolute age and I thought it was about time. I recently bought a new peg bag as my old one was disintigrating after 15 years of use. Someone told me I should've made my own but I pleaded lack of time. However as my old bag had a rather lovely wooden hanger inside I thought I'd make one anyway and put that to use! So here it is. 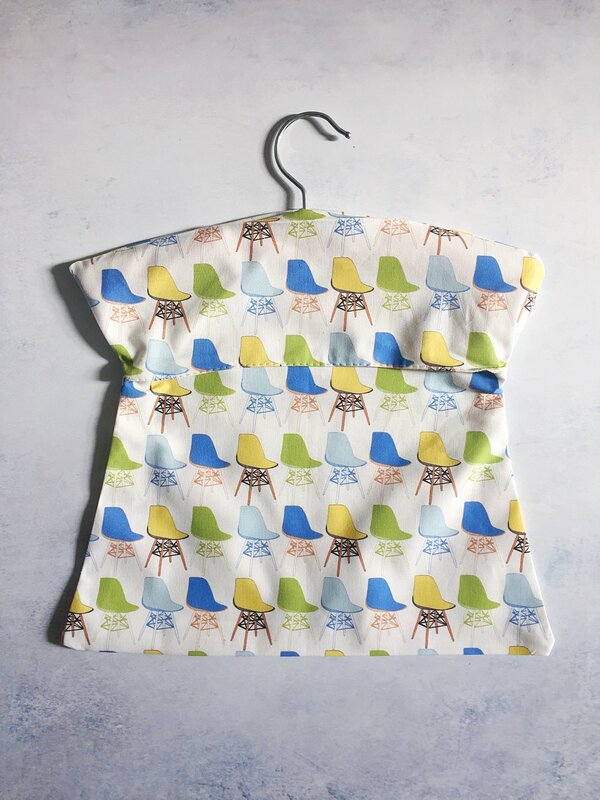 Made with my Dining Chairs fabric, I think it looks rather good. Here's what you'll need to make your own. 1 x Fat Quarter of my Dining Chairs fabric - if you choose to use a different fabric make sure it measures at least 50cm deep by 75cm wide. Thread, pins, scissors, sewing machine, iron and ironing board. Pattern - available to download here. 1. 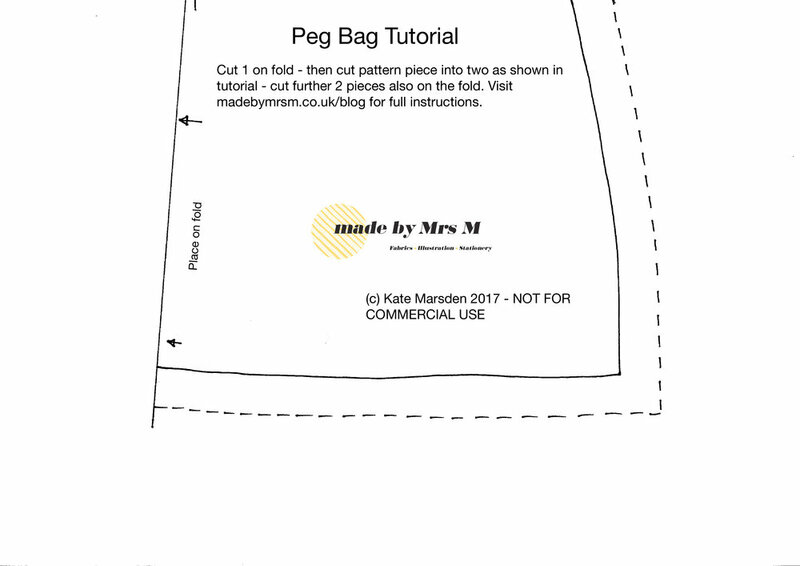 Print your downloaded pattern pieces out onto A4 paper at full size - tape together and then cut out along the dotted line. 2. 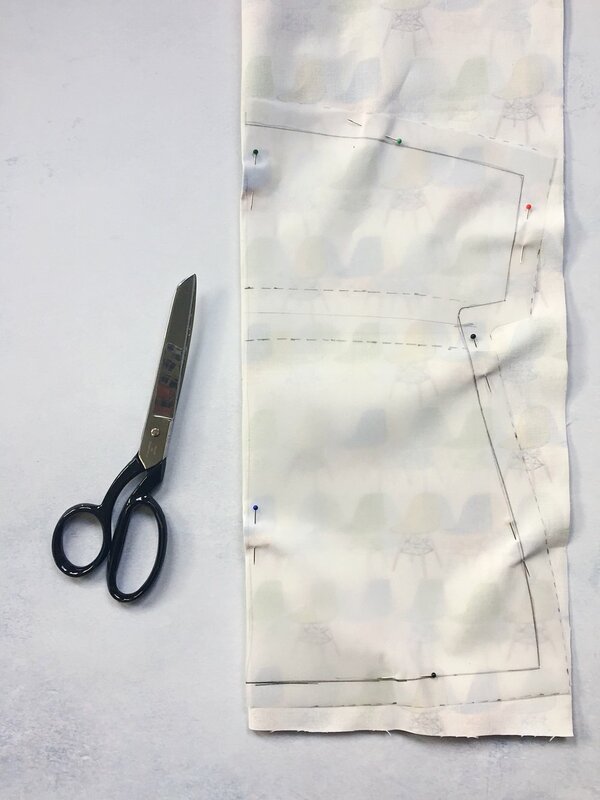 Fold your fabric and pin the pattern to it on the fold (I cut my fabric into two pieces first - each measuring 50cm high by 37.5cm wide. Then cut out. 3. 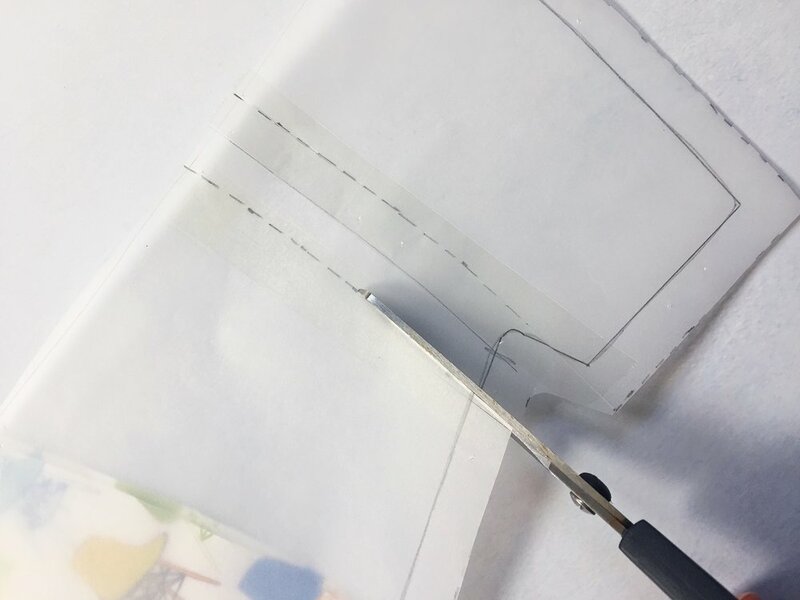 Once you've cut your fabric out, remove the pattern and cut it across the middle on either one of the dotted lines as shown. 4. Cut this piece on the fold. 5. 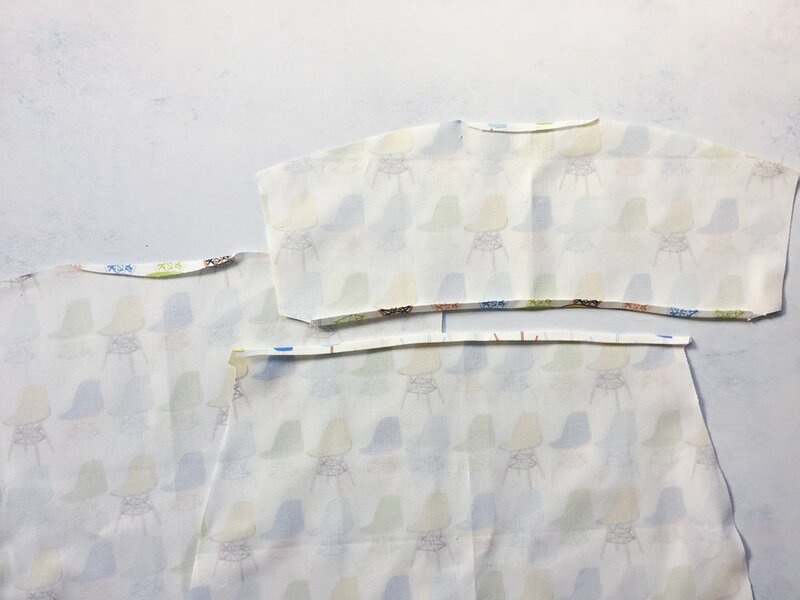 Remove the pattern from the fabric, sellotape the two patten pieces together and then cut along the other dotted line. Cut this piece out on the fold as well. 7. Press all three pieces and then fold in the edges of the front opening by approximatly 3/4mm. 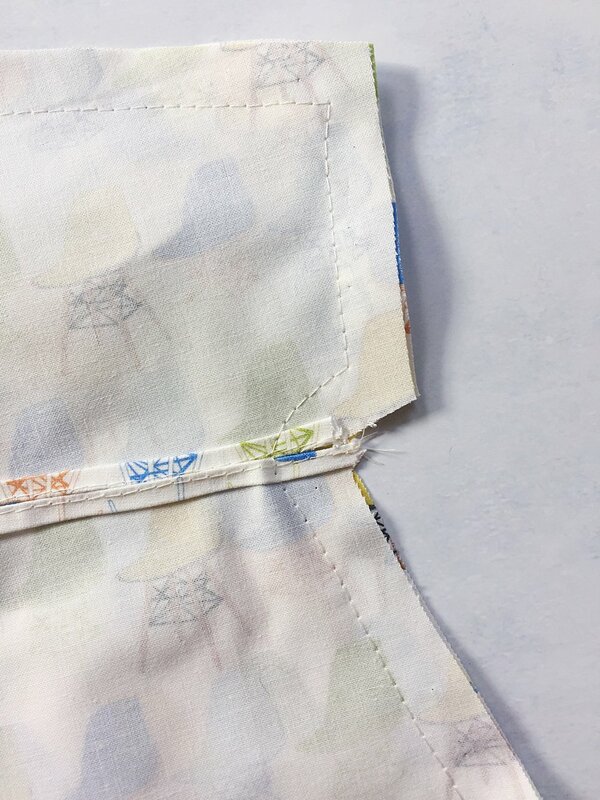 Fold again to hide the raw edge and press. Do the same with the centre top of both sides as shown below (this is where the neck of the coathanger will sit). 8. Topstitch all of these folds in place as close to the edge as you can. 9. Trim your threads then place the pieces right side together. Pin and stitch from neck opening to neck opening, ensuring you leave plenty of space to insert the coat hanger. 10. Trim the corners then turn the bag out to the right side. 11. Give it a good press, insert the coathanger and you're done! The pattern pieces look like those below - ensure you print them at full size. They can be downloaded here.